Bug Guys Termite & Pest Control, Co. Comment: I RE-HOMED MY CAT WITH A FRIEND 3 WEEKS AGO AND SUDDENLY NOW THAT THE CAT IS GONE MY HOUSE IS INVESTED WITH FLEAS. I THREW OUT MY FURNITURE, ALL AREA RUGS, WASHED ALL CLOTHES, BEDDING, ECT AND VIGOROUSLY MOPED ALL THE LINOLEUM WITH BUCKETS AND BUCKETS OF DAWN DISH SOAP. I THEN SET OF A FLEA BOMB FROM PET SMART,( BAYER ADVANTAGE HOSEHOLD FOGGER). THAT WAS ON SATURDAY. ON SUNDAY I STARTED SEEING FLEAS AGAIN, 11 TO BE EXACT. THEY JUMP ON MY ANKLES IN THE KITCHEN. THEY DON'T BITE ME BUT HAVE BEEN BITING MY 2 YR OLD SON! I HAVE DONE EVERYTHING I CAN POSSIBLY DO EXCEPT CALL A PROFESSIONAL. I KNOW THEY BREED AT AN ALARMING RATE. Your Termite & Pest Control Co.
Bradenton Pest Control Services are rated 4.72 out of 5 based on 1,404 reviews of 30 pros. 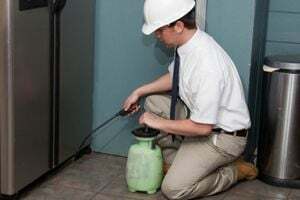 Not Looking for Pest Control Contractors in Bradenton, FL?